call us at (954)990-0525 to see how we can help you. If you believe that there is a warrant for your arrest, you are probably right. The police will arrest you anywhere in the State of Florida, and sometimes in other states, if there is an outstanding warrant for your arrest. The police officer does not have the discretion to not make an arrest. He is required to obey the court order and arrest you on the spot. It does not matter what you are trying to do to fix the situation. You need to take care of an arrest warrant as quickly as possible. Call a criminal defense attorney immediately if you have a warrant and don’t want to go to jail. The first place that you should look to determine whether you have a warrant in a Broward County criminal case is the Broward County Clerk of Court. Documents in a family law case, including domestic violence cases, are not available to the public online. 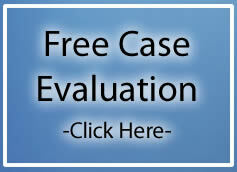 Use the FDLE warrant search below if you are looking for a warrant from a family law case. Alternatively, call an attorney. Attorneys with an account can access the documents online. Click the blue link titled “Broward County Case Search” below. Select “Felony” and “Traffic and Misdemeanor” as the court type. If you are not sure, select “All.” Enter your last name and your first name. Click the “I am not a Robot” Recaptcha square. Select the appropriate case. It will probably, but not always, show its status as “pending.” Scroll down to the warrants section once you have selected the appropriate case. A warrant for your arrest has been issued if it says “capias issued.” If it does not say “Capias Served” or “Capias Withdrawn,” call a criminal defense attorney immediately. Caution, the police officer or the clerk might have spelled your name wrong. It happens a lot. Especially when there is a hypen in your last name. Sometimes a warrant does not appear because it was issued recently. If you suspect a spelling issue, use the case number search or the FDLE search below. You should either check back often or call a criminal defense attorney as the records might not be up to date. If you have an arrest warrant from anywhere in Florida it should appear on the Florida Department of Law Enforcement Public Access System. Linking to the FDLE Public Access System does not always get good results. Sometimes the website loads easily and sometimes it does not. 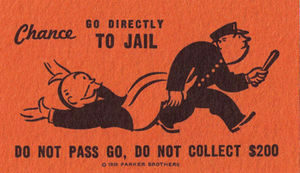 I am going to provide you with two ways to get to the arrest warrant search. First, click on the blue link below titled “FDLE Wanted Person Search.” It can take the better part of a minute to load. If it loads, input your last name, first name, complete the captcha at the bottom and click the “Submit Search” button. Your results will appear. If that doesn’t work, here is the second, longer way to get there. Click on the blue link below titled “FDLE Website.” Find the link that says “Search Wanted Persons.” That will take you to the Public Access System home page. Select the person icon on the left side of the screen. Select “Wanted Persons” after clicking on the person icon. Now you are on the FDLE Public Access System. Follow the instructions set forth above. If you could not find the information that you needed or you are still concerned, contact a criminal defense lawyer for more assistance. Everybody wants to know if they have an outstanding warrant. Now that you know, you can find out more about arrest warrants below. What is an Arrest Warrant? An arrest warrant is a court order directing the police to arrest you when and if they have contact with you. The officer must obey the court’s order. The officer can’t “be cool” or give you a brake. There is no excuse that will keep you from going to jail. So if you are trying to address an arrest warrant, don’t unnecessarily put yourself in harm’s way. If you are dealing with a bail bondsman and do not appear for court, the bondsman can take you back into custody or hire somebody to take you back into custody. Bail bondsmen are not law enforcement officers and do not have to arrest you. If you have a private attorney, most bondsmen will give your attorney some time to address the warrant. There are several reasons that there could be a warrant for your arrest. This list is not all inclusive, but includes the most common types of warrants and the reason the warrant was issued. If you fail to appear for a court date, the judge will usually issue a warrant for your arrest called a “bench warrant.” The judge is permitted to, but does not have to, set a bond on the bench warrant. A suspect is usually arrested at the scene of the crime or soon thereafter. Sometimes there is a long investigation before the police make an arrest decision. The police do not need an arrest warrant if there is probable cause for a felony, but what happens if the police don’t know where the suspect is? The police will apply for an arrest warrant so other departments will know if a person is wanted. Some people simply refer to this as an arrest warrant and it is sometimes referred to as a fugitive warrant. The term “fugitive” as used in this sense does not necessarily imply that the suspect has fled or is attempting to flee the jurisdiction to avoid prosecution. Your probation officer can request a warrant for your arrest if you violate the terms of your probation. Your probation officer does not have to request a warrant to arrest you. Similar to a fugitive warrant, it simply notifies other law enforcement officers that you are wanted for a probation violation. If you have a warrant for your arrest in another state, you can be arrested in Florida and held on the foreign arrest warrant. During the time that you are held, the other state has to make a decision on whether to extradite you. This is a complex area of law with numerous procedural requirements. The assistance of an experienced criminal defense attorney is extremely important. The state, with some degree of regularity, issues warrants for individuals behind in their child support payments. If you have an outstanding child support warrant, you will want to speak with an attorney that has both criminal and family law experience if you have an outstanding child support warrant. A writ of bodily attachment is also used in other civil cases as a means of enforcing contempt proceedings. The court can issue a pickup order in certain cases which requires the police take an individual into custody. Pickup orders are regularly issued in Baker Act and Marchman Act proceedings. Under these circumstances, the police will typically take the individual to a mental health facility.